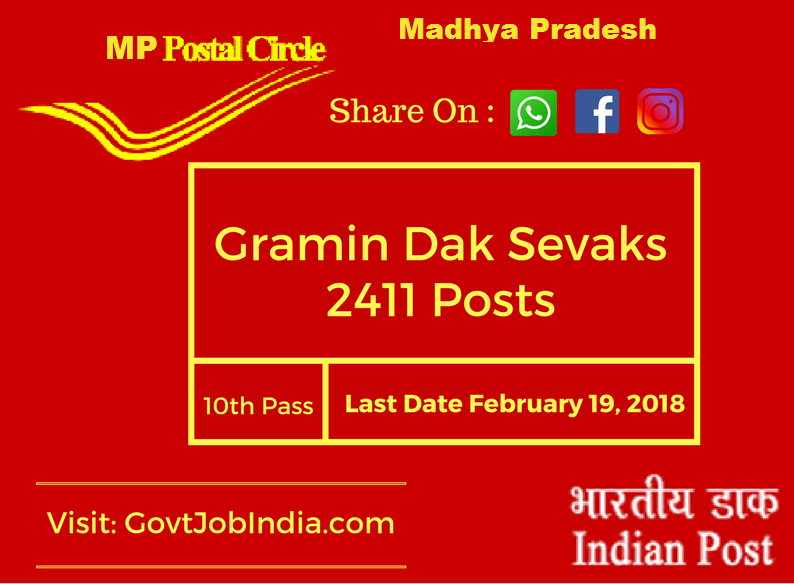 Madhya Pradesh Postal Circle has announced the recruitment notification for the opening of the job vacancies of the in the following posts – 2411 Gramin Dak Sevak (GDS) Jobs. The candidates who are 10th/12th pass / qualified can apply for this job vacancy. The candidates who are between the ages of 18 years to 40 years of age can only apply. The application form for the Madhya Pradesh Postal Circle will be done through online mode. The last date for the application for the Madhya Pradesh Postal Circle is February 19, 2018. This post is about the job opening in the postal circle which recruits hundreds of applicants each year. All the information regarding Madhya Pradesh Postal Circle Career are given below. Educational qualification: The educational criteria for the Madhya Pradesh Postal Circle 2018 is that candidates must have passed 10th class from an approved university and by the central govt or state govt. candidates must also have basic computer knowledge for the application for the MP Postal Circle Recruitment. Age criteria: candidates who are interested for the online application of the Madhya Pradesh Postal Circle 2018 is between 18 years of age to 40 years. The criteria for the age relaxation are- 3 years for OBC, 5 years for SC/ ST, 10 years for PH above the respective category. 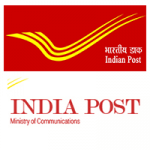 Selection process: Selection for the Madhya Pradesh Postal Circle 2018 will be done according to the merit. Follow the details about the application for the proper online application for your forms. You should have your valid id and password. Important Note: The candidates who have already registered and paid their application fees in favor of MP Postal Circle Recruitment 2017 notification on April 03, 2018 (Which has cancelled) need not to register again. You can use your previous registration id to log in again and complete your registration. If you registered twice and make payment, it will lead to the disqualification of the application form. you need to need down the dates which will be useful to you for the application of the MP Postal Circle career.